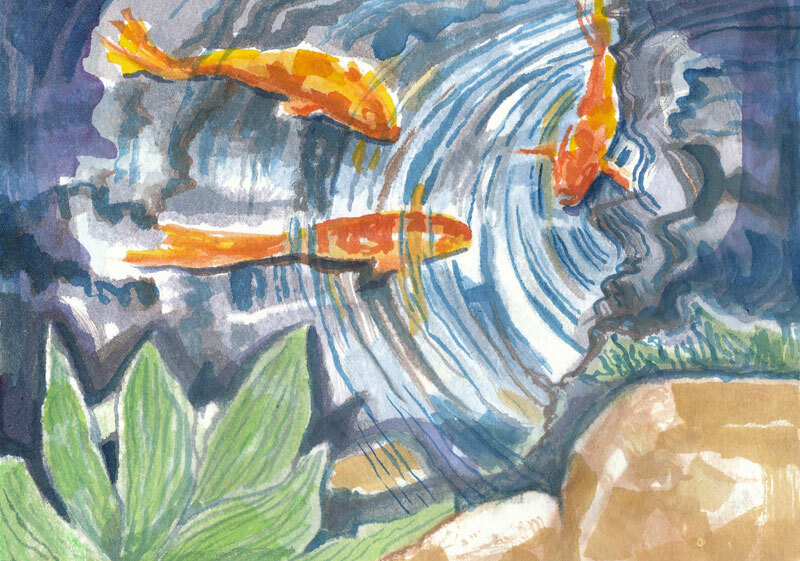 Koi Pond II is a small (5.5″ x 7.5″) watercolor on Rives BFK paper. This type of paper, a printmaking paper, doesn’t allow for a lot of transitions but receives the watercolor as a stain. The image is from several pictures that I took of a friend’s koi pond. When the fish hear her voice, they come up to the surface to greet her (hoping for food, of course). This entry was posted in Uncategorized and tagged fish, koi painting, Linda Kay Thomas, Linda Snider-Ward, Louisiana artist, small art, watercolor. Bookmark the permalink.